Nilaga in filipino means ‘boiled’. Nilagang Baboy is another filipino food recipe that is easy to make that you just throw everything in the pot and let it cook until tender. 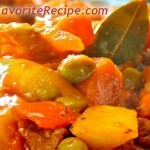 It can be with pork or beef of any kind you like and just add any vegetables of your choice. Corns and ripe saba (banana plantain) is also good in this dish. You may or may not add pork and beans — it’s up to you if you’ll like it thickened or just a clear soupy dish. You can even add a thumb-size ginger for a pungent flavor. Nilaga is good in any kind of weather. My family love nilaga. They like soupy kind of food dish that they quickly finish their meal. I remember that we used to have this dish (we call it nilat-an in our dialect) during Sunday’s lunch. We always had our get-together with my in-laws every weekend. Preparing this nilagang baboy (boiled pork with vegetables) reminds me of my family back home. 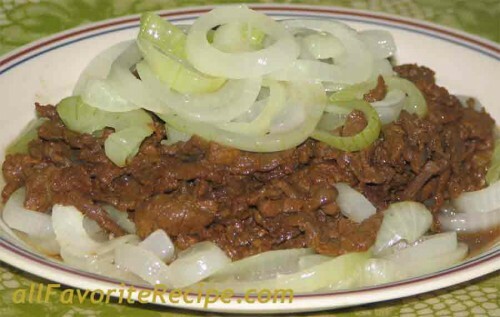 Have You Tried These Other Filipino Food Online? Ulam nmin nilagang baboy for lunch super sarap! Again thank you for these recipes. You save me again on takeaways. Try qng lu2in 2 kc tingin q plng yamming-yammy na.. THANK YOU SO MUCH!!! SANA MAS MARAMI PA ANG TUMINGIN SA RECIPE NA 2. Perhaps this can also be called Pork Pochero, can’t it? This is one of my favorite Filipino soups to eat especially on rainy days. Thanks for the recipe. I’ll try this at home. he he try q nga ? thanks a lot.. sarap ng luto ko. salamat… this helped me in cooking. its my first time to cook this type of recipe..its very tasty, my husband loves it.thanks a lot. 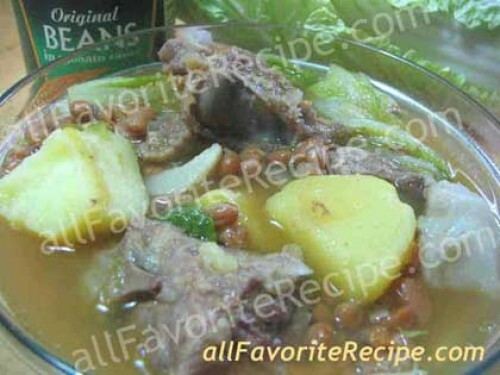 thank you for sharing this nilagang baboy recipe.!. Perfect! Just tried it today msarap tlga. salamat for sharing this nilagang baboy recipe!